The thesis is the main claim of the paper or essay. It is typically stated in the introductory paragraph giving the reader early or rather, timely insight into the main claim of the paper. 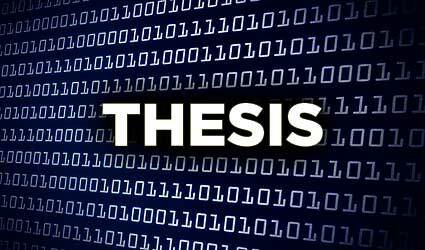 The thesis statement is generally written post all the research and analysis at the beginning of a write – up. Whatever insights and understanding that the writer develops after research and analysis of various thoughts on the given topic, is summed up in the thesis statement. Thus, it is the thesis that concisely expresses the main highlights of the paper, telling the reader the gist of what the writer has to say on the given topic. The main point of the thesis is to clearly state the claim that author makes. This not only requires lucidity but also, the strength of argument. 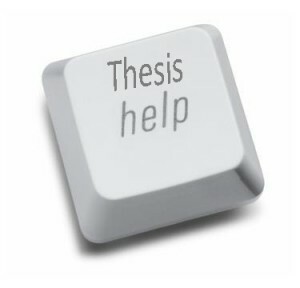 Therefore, it is important to make the thesis strongly arguable. In any good paper, it is important for the central claim to be strongly arguable, which can be checked by using counterfactuals and counter – arguments against the central claim. A good thesis is the one where some readers might not agree with the claim and argue against it. This is so because a good arguable thesis shows that the writer has analyzed all sides of a given topic and then chosen a stand post his analysis of the given topic. Another important requirement for a good write – up is for the thesis to be specific. This also heavily depends on the research and initial analysis and understanding of the topic. Only when this is clear will the thesis be specific and clear. Being clear does not, however, imply that the thesis should not have details. The idea is to avoid broad and ambiguous generalizations. Rather, the thesis must be more specific about the details, concisely informing the reader about why the writer claims what he claims in the thesis. It is in the thesis that the writer clearly informs about his stand on the topic and why, in the first place, the writer chose to take the said stand. While offering the details and writing the thesis another thing the writer must keep in mind is the fact that if there are many reasons to be included that takes away the ability for the writer to be able to fully explore the claim in the write – up. Too many points of argument make it seem like a very incomplete analysis, making the arguments and the writer’s claim look half – baked. Even if the writer’s understanding of the claim would have been clear, jotting down too many pointers would make the author’s thesis look uninformed and very blotchy; thereby, ruining the point of the thesis to drive the point home. All in all, the thesis needs to be a clear statement giving a brief insight into the entire written work. Therefore, in order to have a strong thesis, not only should the writer research and articulate his analysis well but, he should also be able to convey the claim cohesively.